First of all let me say I love almost all one-dish meals, such as lasagna, baked Ziti, pot pies, Shepard's pie, goulash and more! They come together quickly and make fantastic weeknight meals. 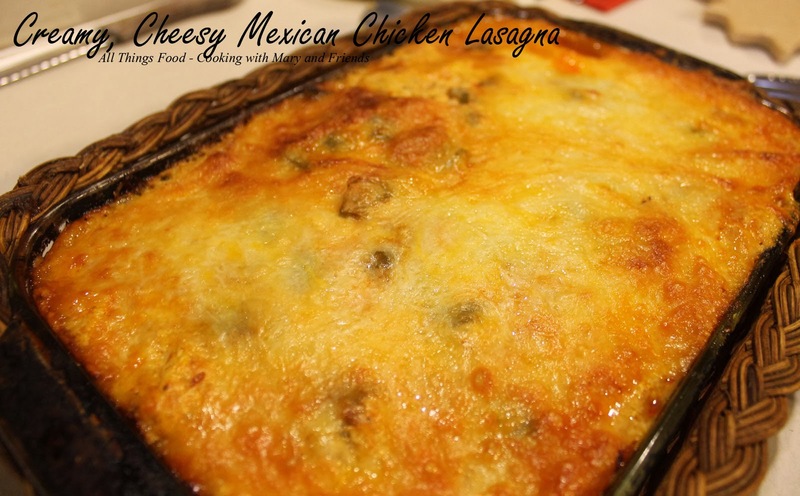 This recipe is a result of some leftover cooked lasagna noodles I didn't want to go to waste. Add a few other ingredients and there you have it. All done, ready to bake and eat! Preheat oven to 350 degrees. In a small mixing bowl, blend the softened cream cheese and sour cream until well blended. Add garlic powder, course-ground black pepper, cumin and chili powder and continue mixing until combined; stir in cooked chicken. In a rectangular baking dish, sprayed with cooking spray, spread 1/2 of the Enchilada sauce over bottom to cover. 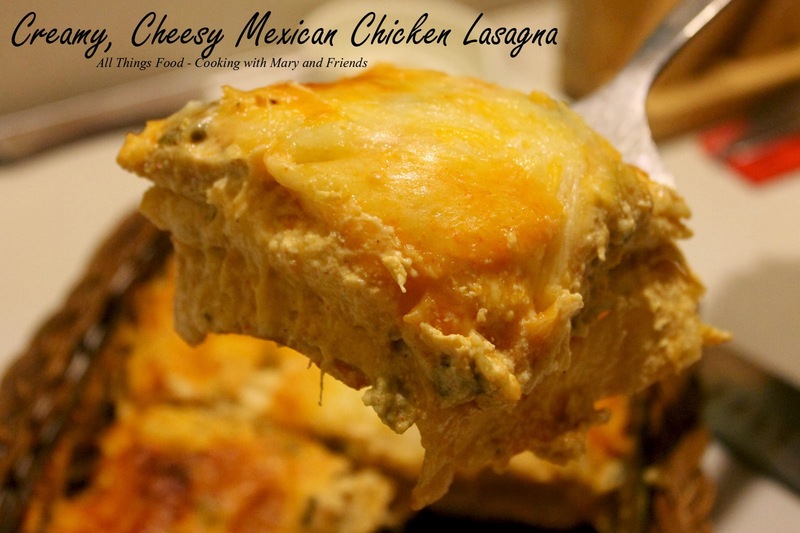 Layer on cooked lasagna noodles, topped by half the cream cheese/sour cream/cooked chicken mixture. Top the layer with 1/4 cup green onions, then add a handful or 2 of the shredded 4-cheese Mexican blend cheese, sprinkling over top to cover. Repeat layers once, topping chicken mixture with remaining Enchilada sauce and ending with the shredded cheese. Cover tightly with foil and bake 40 minutes or until bubbly. Remove foil and bake an additional 10 minutes. Remove from oven and let sit 10 minutes before cutting and serving. Add a side salad for a complete meal. Note - could also be made with flour tortilla's cut into strips, or for a low-carb version, make "noodles" with blanched cabbage leaves cut into noodles. Add sliced black olives and chopped tomatoes if desired.